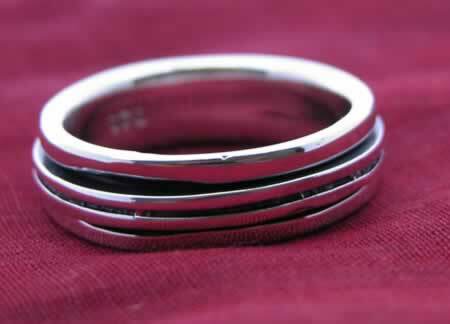 Sterling silver spinner ring. Handmade in Thailand. Weighs approximately 6 grams.